We at the Learning Commons & Open Labs are excited about student learning and feel privileged to have the opportunity to assist students as they achieve their academic goals. We provide Microsoft Office applications and assistance, specialized software, printing, basic Blackboard assistance, multimedia editing software and assistance, JagNet password reset, and wireless device configuration. We encourage you to utilize the services provided by our trained, friendly staff at each campus. 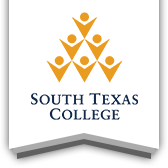 Learning Commons and Open Labs promotes excellence in student learning at South Texas College by providing a welcoming environment with professional staff, innovative resources, and outstanding customer service. Please take a few minutes and let us know how we are doing! Find the address, phone number, and hours of operation for each of our labs. Instructors may submit approved student projects to be printed on the 3D printers in the Open Labs. Learn which types of hardware and software we offer. Find contact information for individual Open Labs employees.